If you missed me over the weekend, well, I missed you too! We were busy LIVING and TELLING THE TRUTH, two extremely simple, yet complex concepts. The weekends just set everything right, don’t they! 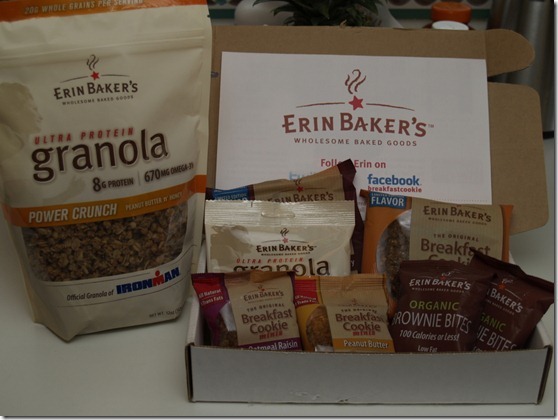 When Erin Baker’s contacted me about doing a review of their products, of course I jumped! This small time blogger needs exposure. And free products. But most importantly (and like almost all of the reviews I’ve done in the past), I knew Erin Baker’s had a SOLID product. This company was just featured on the top 125 Best Packaged Foods list in Women’s Health magazine! 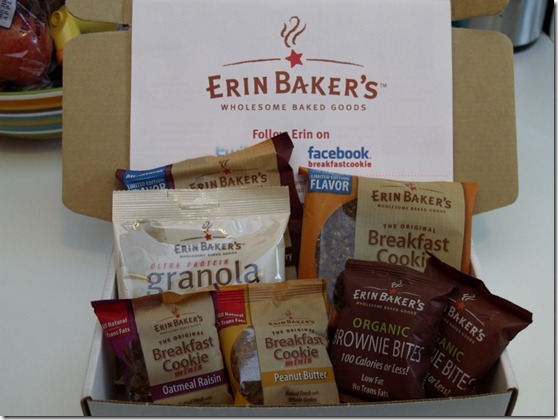 Erin’s has even branched out into the AIRLINE industry – the Breakfast Cookie is now being offered on American Airline flights!! That’s pretty cool in my book! Whole Grain Oats, Honey, Peanut Butter, Soy Protein Crisp Rice (soy protein isolate, rice flour, malt extract), Oat Bran, Expeller Pressed Canola Oil, Molasses, Ground Flax Seed, Vanilla Extract, Natural Peanut Butter Flavor, Sea Salt. I can pronounce everything. The nutrition stats are stellar as well!! 1/2 cup of granola goes A LONG WAY!! Just a sprinkling of a couple of tablespoons is enough for my morning yogurt snack. Plus, it packs EIGHT grams of protein and THREE grams of fiber, two things that keep me fuller for longer. Erin Baker’s has graciously offered to let YOU GUYS in on the fun!! It’s GIVEAWAY time!! An Erin Baker’s sampler pack!! Leave a comment below telling me your favorite way to eat granola. Or even your favorite brand/flavor. 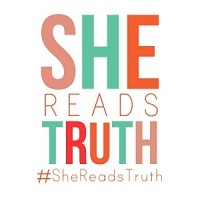 Like Erin Baker’s on Facebook and post on their wall that Lindsay’s List sent you. Leave a comment below telling me that you did. Follow Lindsay’s List and Erin Baker’s on Twitter. 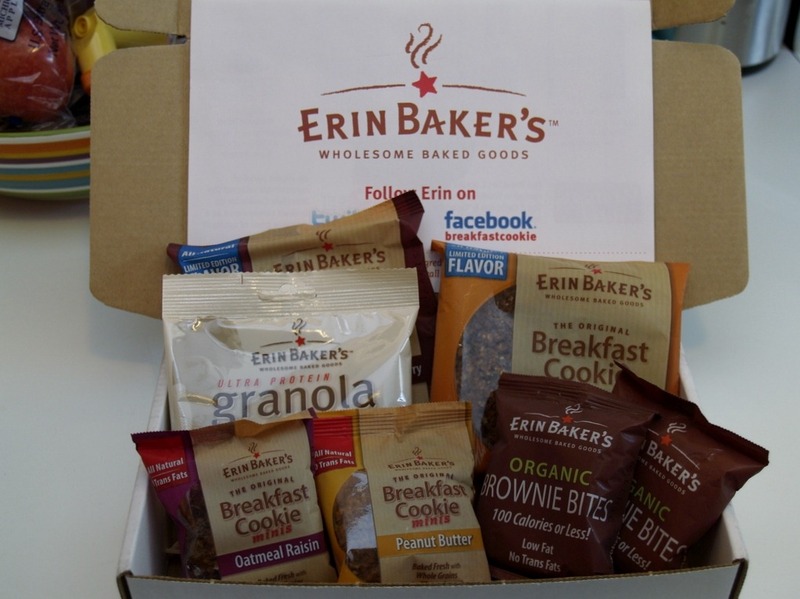 Tweet the following: “I’m trying to win a @erinbakers sampler from @lindsays_list: http://wp.me/p1Mp21-Ms“. Leave a comment below telling me that you tweeted. This giveaway will be open until THIS Thursday night, October 27th @ midnight EST. I will announce the winner when I post on Friday. Best of luck friends!! Last call for Tuesday Trainer YOGA submissions. New to Tuesday Trainer?? Check it! I’d love to enter! I love eating granola plain as is! I love to eat granola with yogurt! I like eating granola as a breakfast “cereal” with almond milk. Oh wait! I also “like” you because your blog is awesome AND you give away things to your readers!! Thanks! I tweeted you! Cuz like always, you rock Lindsay!! 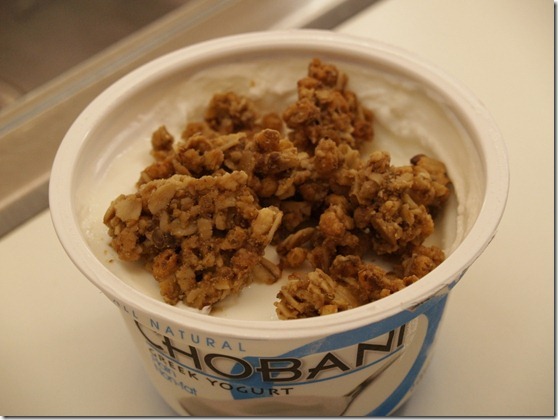 Granola is just excellent with yogurt! Especially if you want something low fat and low sugar, you can get plain yogurt and add the granola for flavor and texture. i love granola with greek yogurt!! I already totally like you on facebook. Jason would totally like that granola. Granola with almond milk and fresh raspberries or a sliced peach. MMM!! Like Erin Baker on Facebook and left a message on their wall! 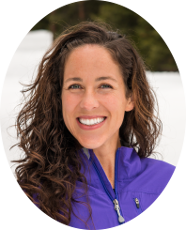 I’m now following YOU and Erin Baker on twitter, and I tweeted about it! I eat my granola on yogurt, sometimes with fruit too. basic, but yummy. 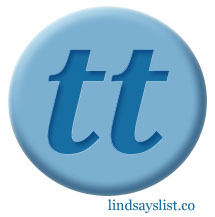 I “like” Lindsay’s List on Facebook! That’s actually a really nice loot box! I’m not usually interested in doing reviews, but I can definitely see why you jumped on this one. My favourite granola recipe is: insert hand in box, toss granola into mouth. It’s pretty advanced. 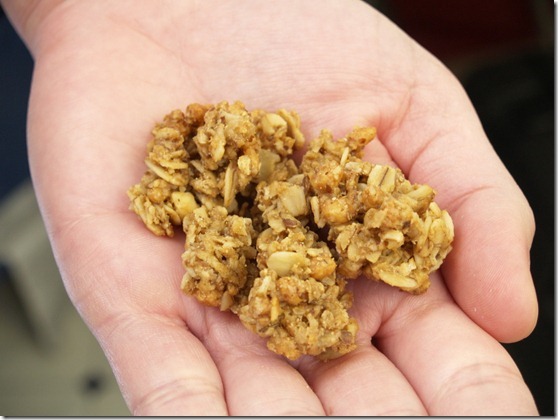 I love using granola to make homemade granola bars! And, I like to eat it in my yogurt. This stuff looks great! I love to eat granola on top of my greek yogurt. So delicious. I hosted a giveaway for Erin’s about 2 mos ago. LOVE that stuff. I liked Erin Baker’s on Facebook! Oh my goodness! What an incredible giveaway!!! AH! Keeping my fingers crossed! I am always ready to eat granola in any shape or form. My favorite is with greek yogurt. But most of the time I just nibble on some granola chunks by themselves. I haven’t tasted a single granola that wasn’t delicious! love granola sprinkled on top of frozen yogurt on top of fruit. yummmmmmmmmmmmmmy. I commented on Erin Baker’s Facebook Page. What a fantastic gift basket. Hope I win! My favorite way is to pour granola onto a paper towel and eat it with my fingers. Seriously. I like granola on my greek yogurt, especially plain greek yogurt mixed with pumpkin and cinnamon!! Yumm!!! I like granola on top of my yogurt..need the little extra crunch! Linds- Already “like” you on FB. Just “liked” Erin Baker’s. I end up most often just eating granola by the handful. :) But I also love a sprinkle on my oatmeal! AND, I *liked* Erin Baker’s on Facebook. I already *like* you on Facebook. I like the crunchy texture of granola on top of my morning bowl of my oatmeal or yogurt. Since I don’t have facebook can I just say that I like you anyways? The way I eat granola? Straight out of the bag. In rare occasions when I am more patient, I pour it on top of yogurt or with some milk. Btw I hope my yoga video is what you wanted. If you need another pose or something more challenging, let me know. My favorite way to eat granola is the typical– mixed in with yogurt, but specifically yogurt mixed with peanut butter and granola! Lindsay, my love! I didn’t know you were on facebook. I shall stalk you there as well. This granola looks so delicious. I love granola my the handful or with almond milk. we love Erin baker! I met her at a race once, after i snagged all her samples of course. tee hee. I follow you everywhere so now I will go tweet!! I love eating granola with Greek yogurt or almond milk as my breakfast!